and some times the release of gas from our blood stream into our intestines. Psychological and mental disturbances could also cause some individuals to trap wind in their gut than normal. A blockage of normal intestinal flow of food material and gas can lead to a very serious type of trapped intestinal wind as in bowel obstruction and volvulous. Persistent trapped wind could also be due to some chronic health problems like lactose intolerance, celiac disease, and irritable bowel syndrome. Of the above causes, swallowing of air during eating and drink, followed by the release of intestinal gas in our gut from undigested food materials by bowel organisms are commonest. Certain food items are notorious for precipitating trapped intestinal gas than others. Trapped wind is a very common cause of abdominal pain in newborn babies, toddlers older children and adults. It is also a condition that can occur in the pregnant. Understanding and finding the causes of trapped wind is thus a beneficial step in overcoming this problem. We shall now discuss causes of trapped wind in the acute setting (i.e. occurring within hours and few days)and then proceed to mention causes of trapped wind in the chronic setting(occurring and persisting over weeks and months or years). This is the most common cause of trapped wind. Not just the type of food we eat, but how fast we eat them could cause trapped wind with its attendant severe abdominal pain. As stated above, certain types of food items are known to cause trapped winds than others. These food items for some reasons attract the normal gut bacterial action and breakdown, thus releasing intestinal gas in large amount. It is estimated that as much as 70% of gas produced in the intestines come from such bacterial action; not from swallowed air! These food items are usually rich in cellulose and or proteins. Some of their components are not easily digested by the normal intestinal enzymes. Gut bacteria help to digest the part of the food item not digested by human enzymes, and they tend to produce lots of gas as by product of the digestion. Eating irregularly, or late at night can also cause bloating due to poor digestion and accumulation of wind from actions of the same gut flora on the poorly digested meal. Carbonated or fizzy drinks have very large amount of gas in them. These gases escape and get trapped in the bowel, and are one of the notorious causes of trapped wind in the predisposed, or in anyone when taken in excess. Drinks with very high sugar content can also cause bloating from trapped wind. The sugar gets fermented by gut bacteria, and the more the sugar, the more the gas produced by fermentation: the more the bloating. This is a very common cause of trapped wind. It is the most common cause of trapped wind in the first few months of life. Bottle feed babies tend to gulp large amount of air along with their milk, especially in the very hungry kid. This situation can even be made worse by the use of a feeding bottle with a large teat, or not holding the feeding bottle in the proper angle while feeding as well as sucking on an empty feeding bottle. Another common cause of trapped wind in babies is air swallowed while sucking on pacifiers or dummies. Reasonable then, if you baby tends to have lots of colic abdominal pain, and he or she uses pacifies, why not see if things might settle without the pacifier? In adults, if we eat our food in a rush, or during swallowing, we may swallow some air which could get trapped. Chewing a chew gum is a typical example of a situation where we may be gulping a large amount of air without knowing. When we are anxious or emotionally distressed, we could swallow large amount of air without knowing. When we talk for a long time and swallow air, these surprisingly can cause wind to be entrapped in us. If we are constipated over a long time, it creates a conducive environment for wind to be produced in us by intestinal bacteria and then get trapped. Yes. Our clothes. How tight is your trouser, skirt or how hard do you fasten your belt on your waist? This may explain why you tend to have loads of trapped wind. Strapping our belt very firmly on our waist or lower abdomen means that we are restricting the normal movement of wind down our gut. These simply get trapped in us. This list of causes of trapped wind is by no means exhaustive. If you suffer with trapped wind and can not pin point the possible causes of trapped wind in your case, discussing with your family doctor is the wisest course of action to take. You can also engage an online doctor for immediate consultation. You can get rid of your trapped wind as well as causes of trapped wind due to food ingested by regularly drinking Peppermint tea with every meal or before going to bed and in the morning. Read more about trapped wind from the various sections on this top as presented on the top left hand corner of this page. Please do not hesitate to contact us on specific questions on trapped wind and in deed any other medical topic you may be interested in via our free online medical consultation forum. Stone K T et al. 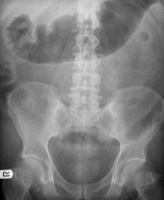 Aerophagia In Children. Am Fam Physician 1971; 3: 94 – 95. Copyright © 2005-2018. ABDOPAIN.com. All Rights Reserved. This website is for informational purposes only. It is NOT a substitute for seeking a one-to-one professional medical advice.